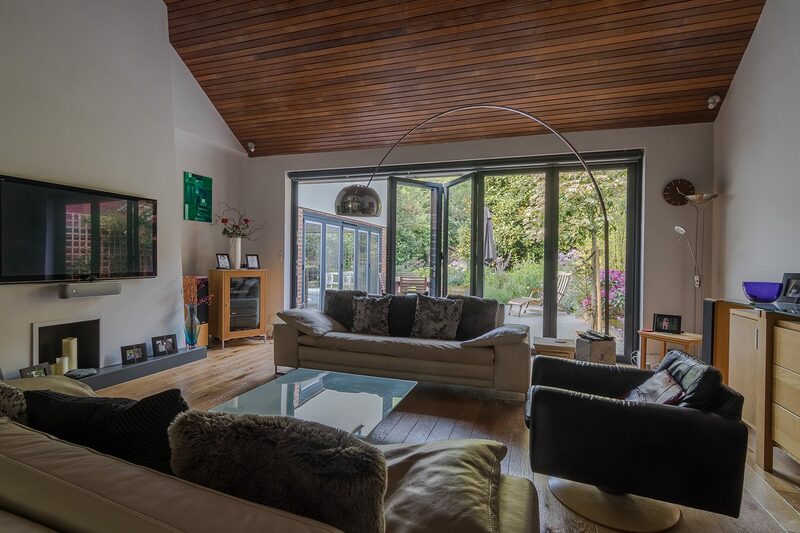 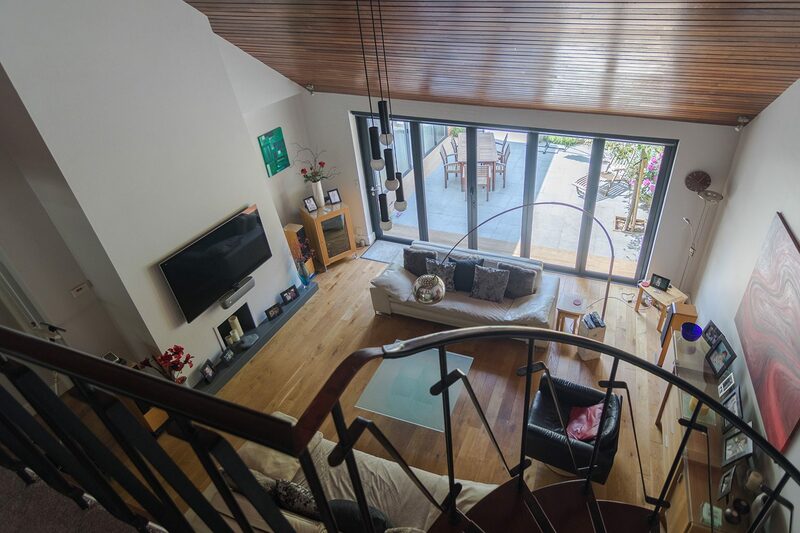 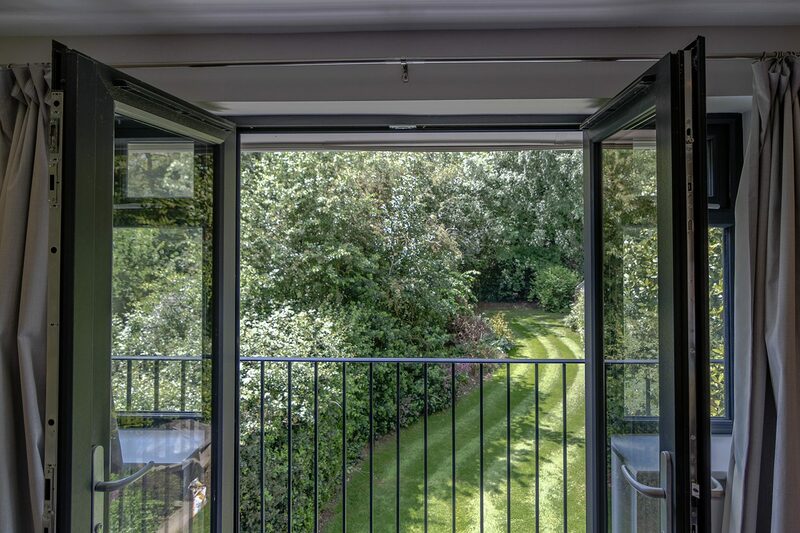 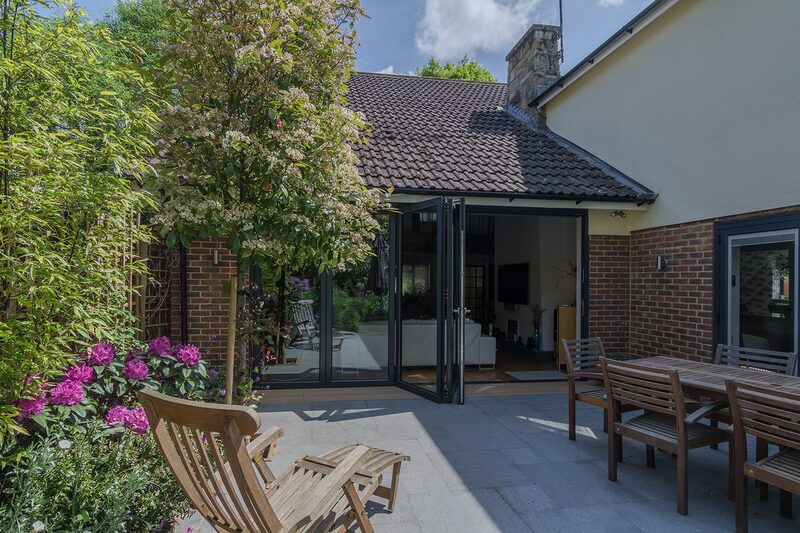 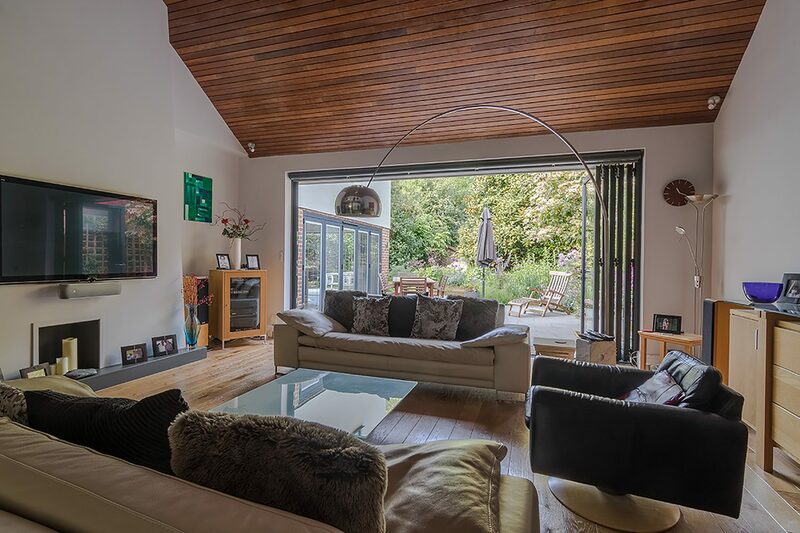 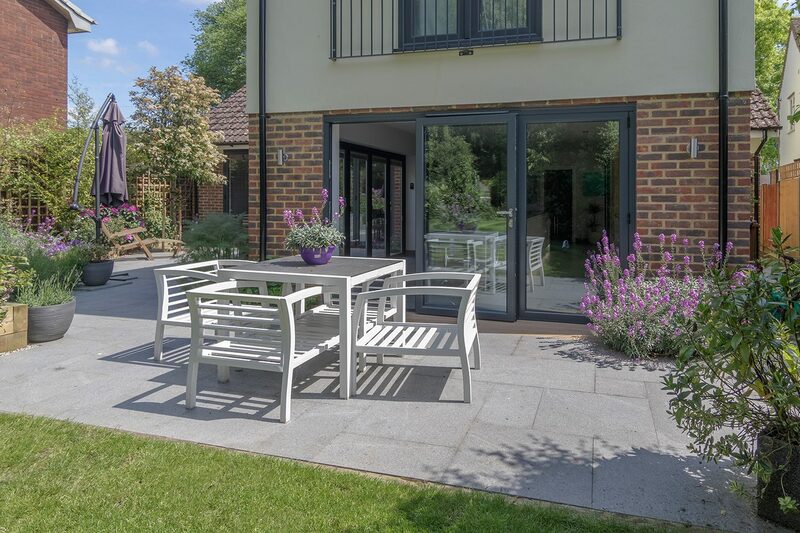 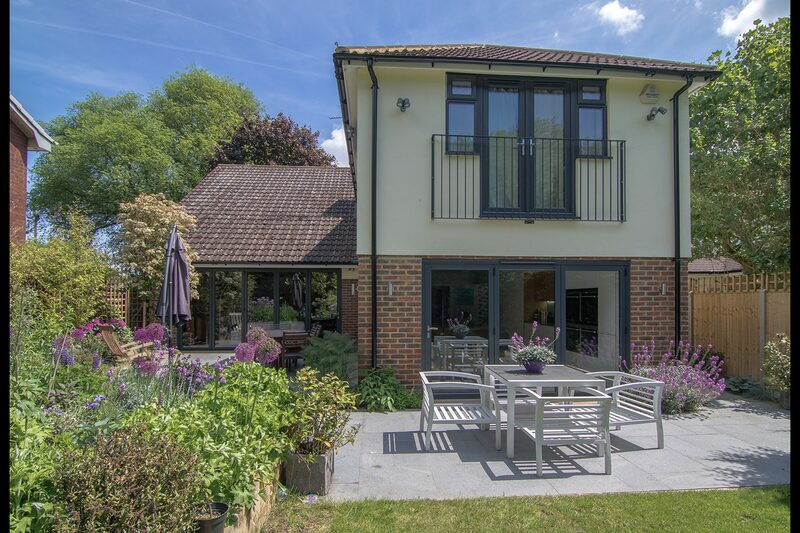 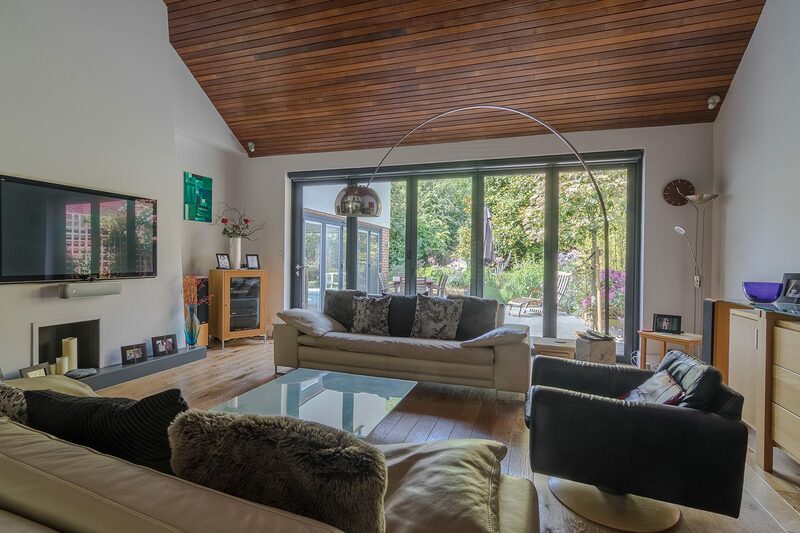 The rear of this property has been extended over 2 floors into a stunning garden. 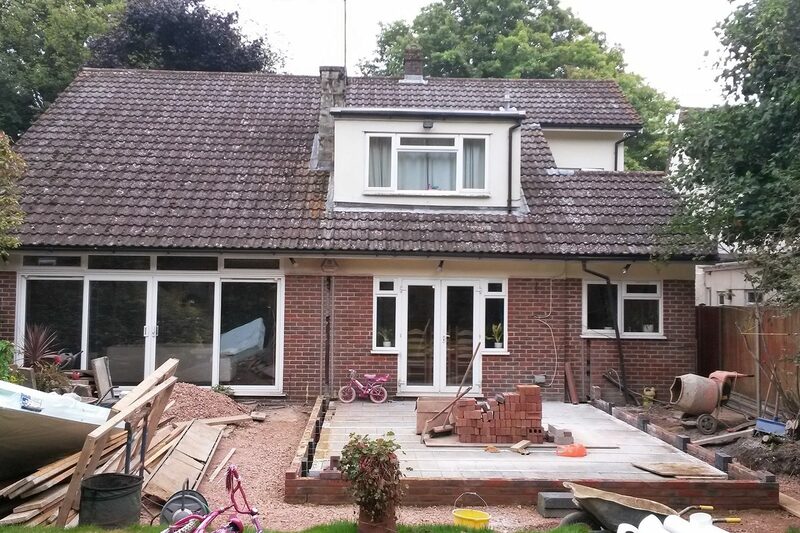 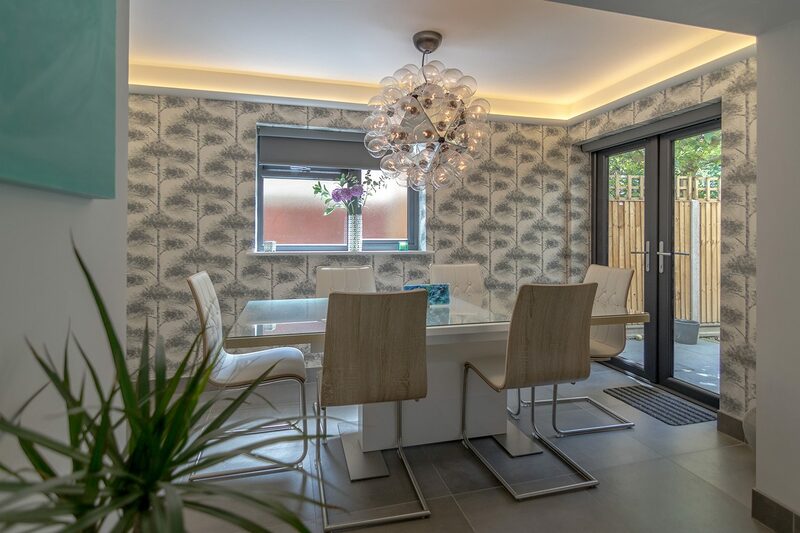 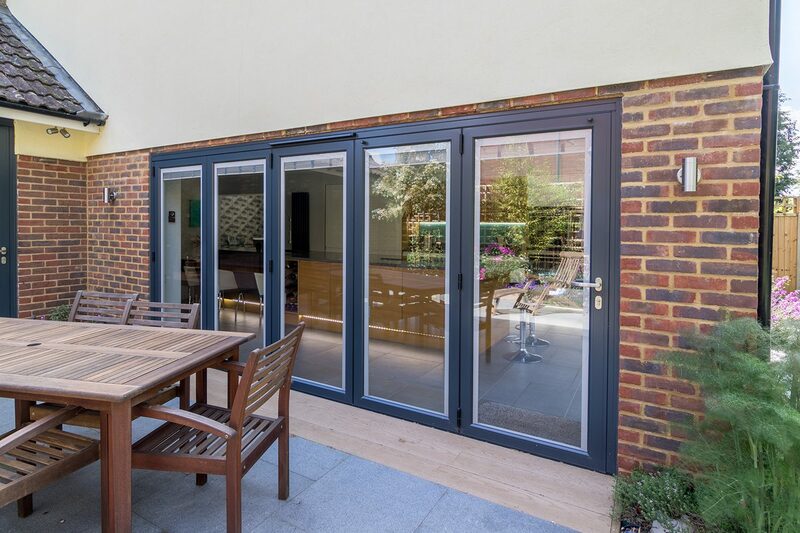 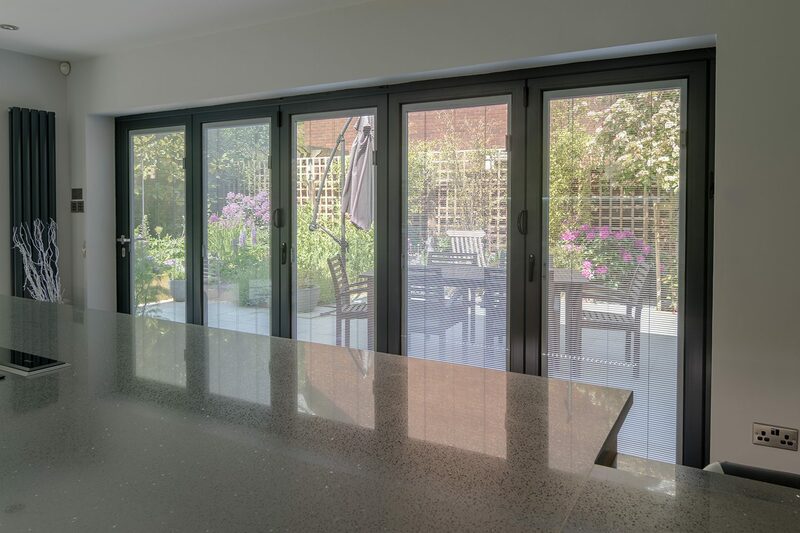 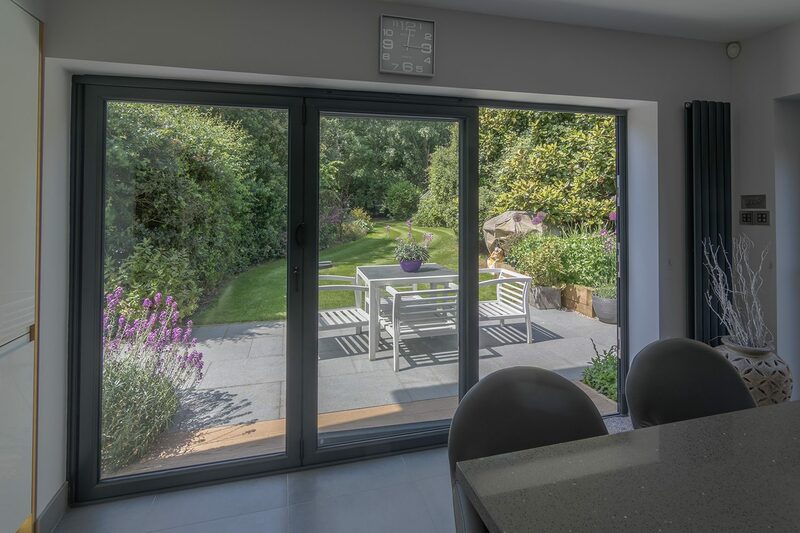 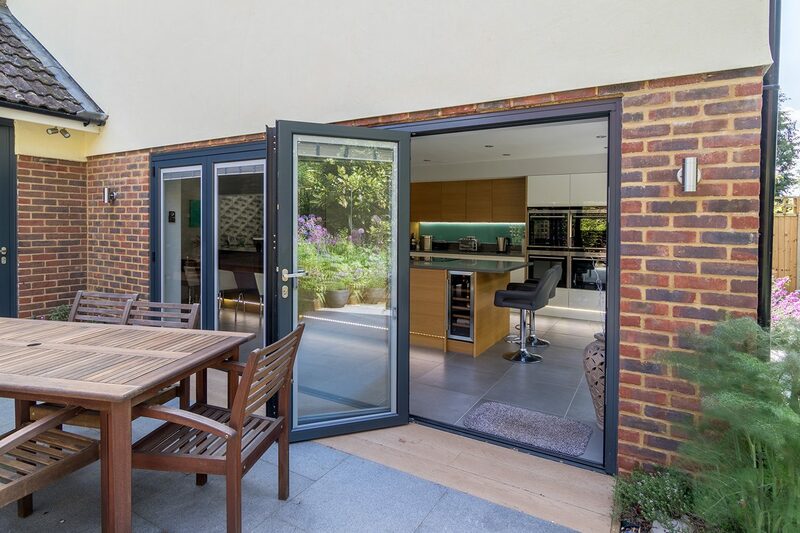 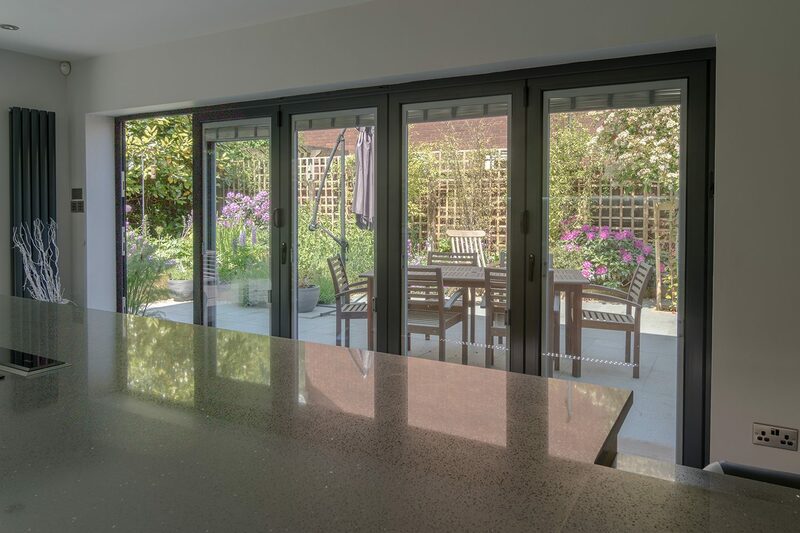 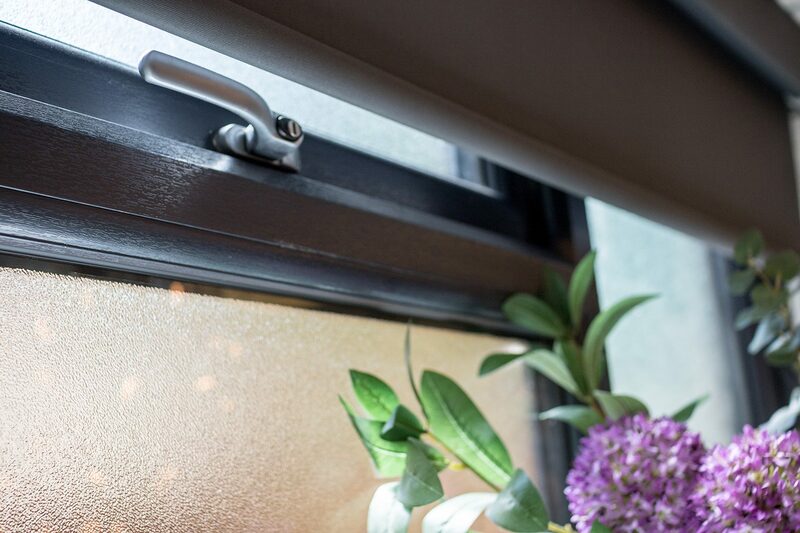 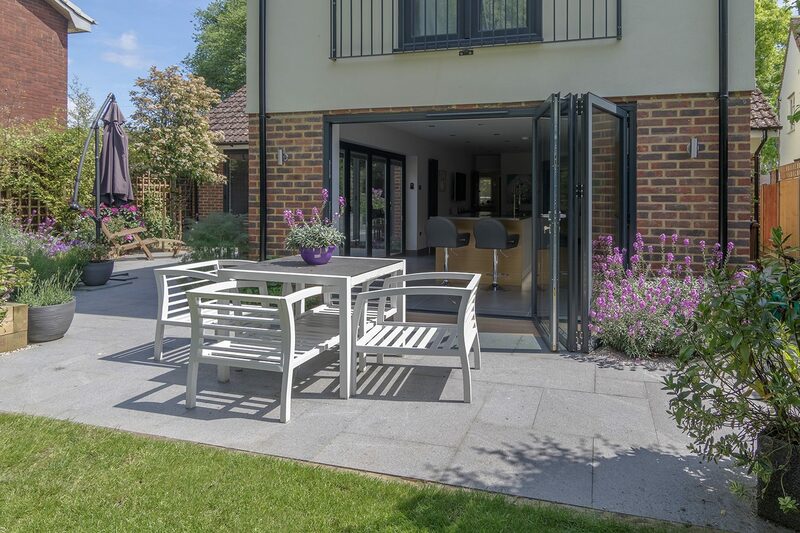 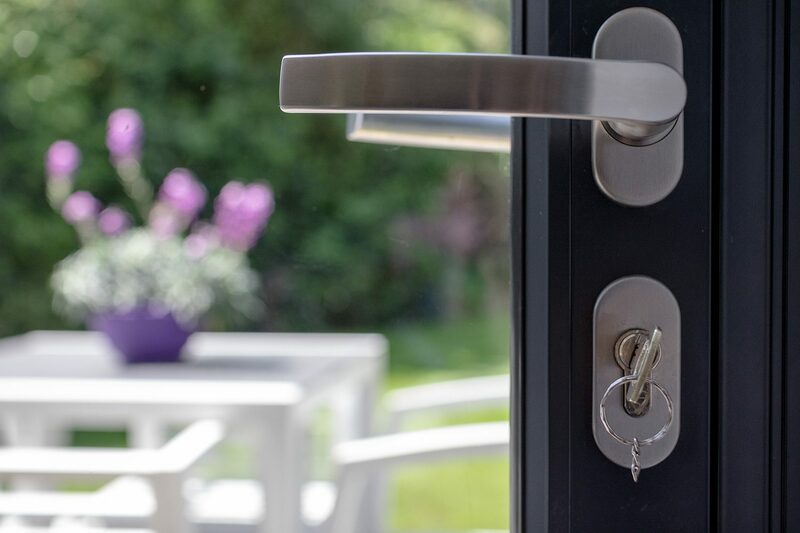 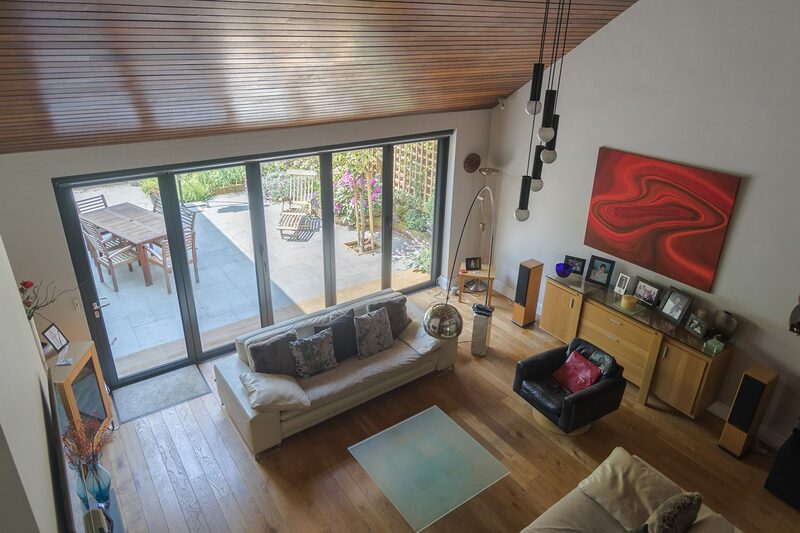 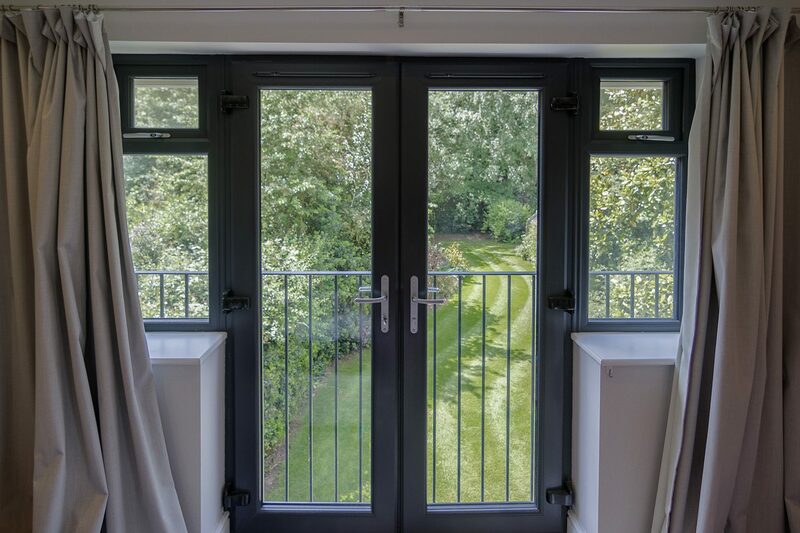 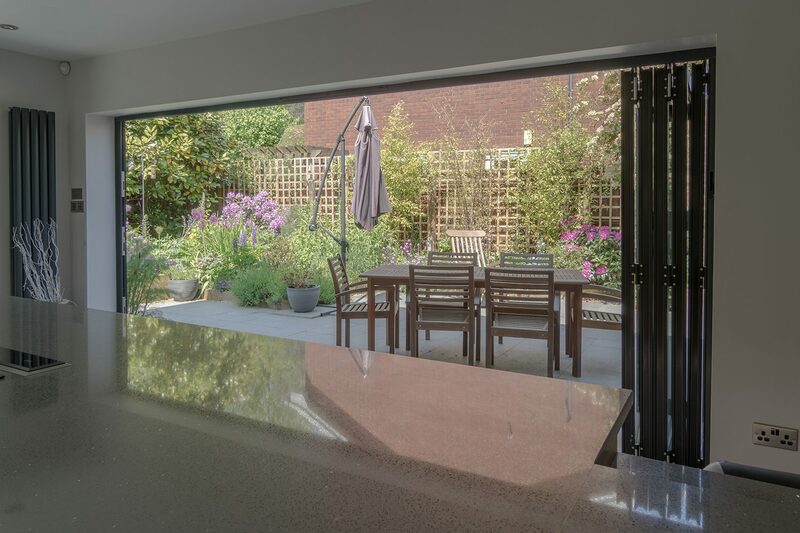 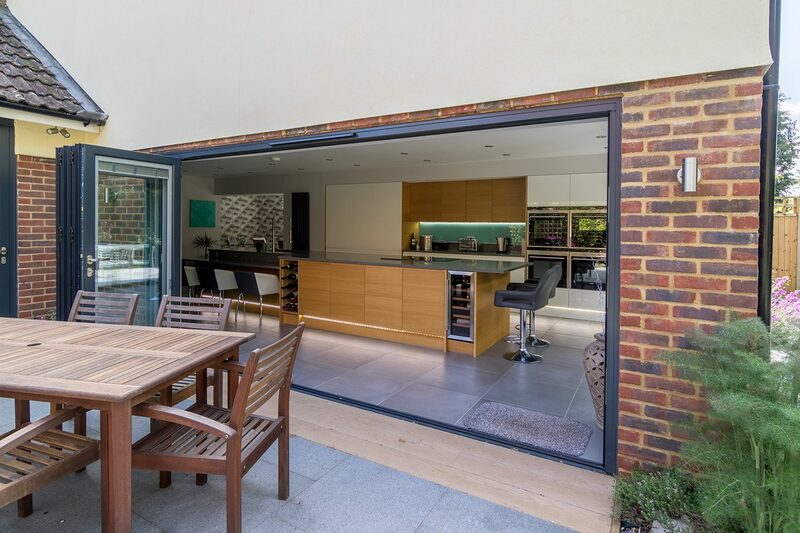 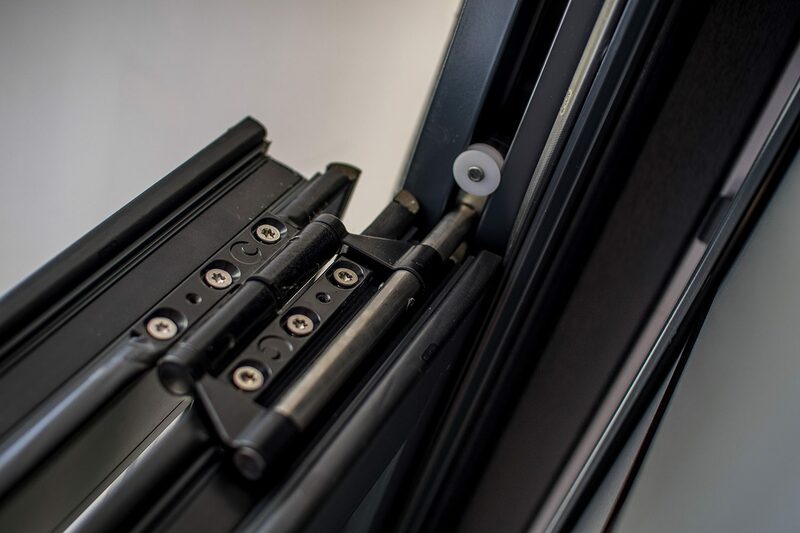 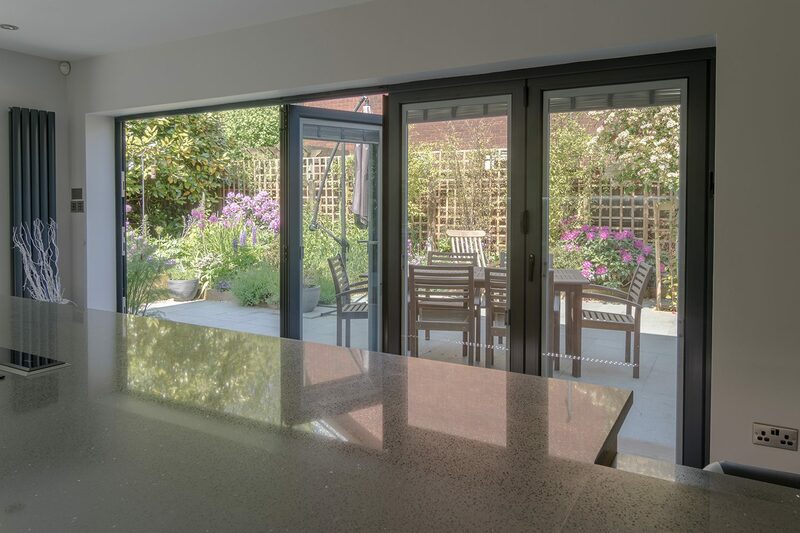 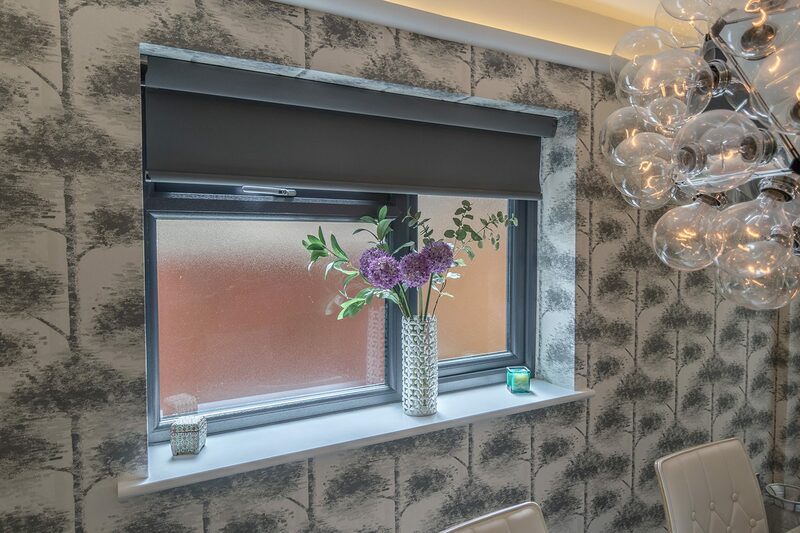 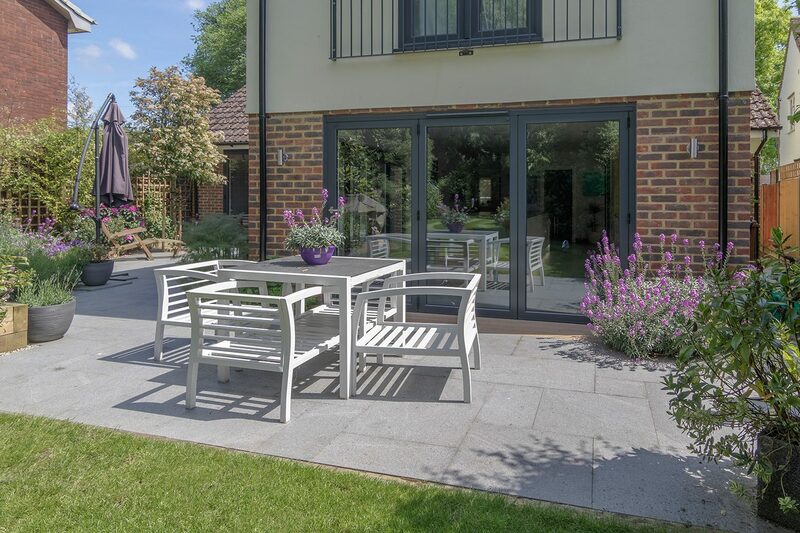 The old white upvc window and door combination in the existing part of the house has been replaced with a set of 2.5 metre high Anthracite grey Bi-fold doors, really making the most of the double height living room. 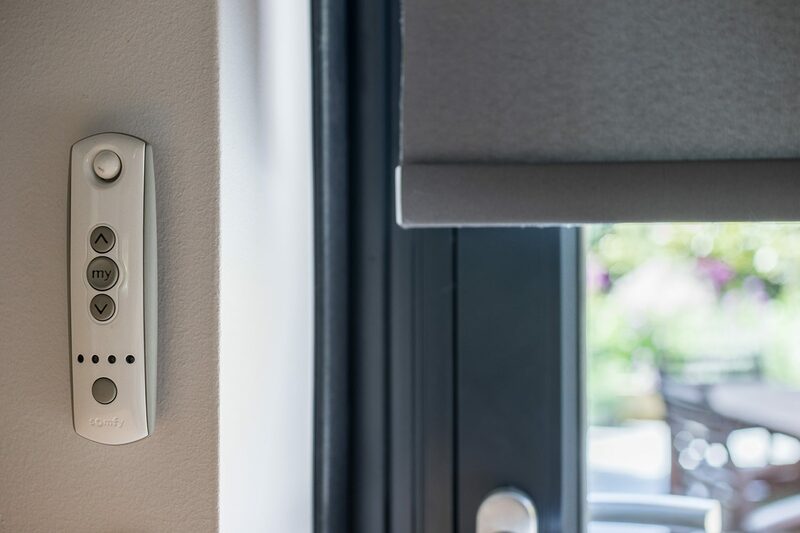 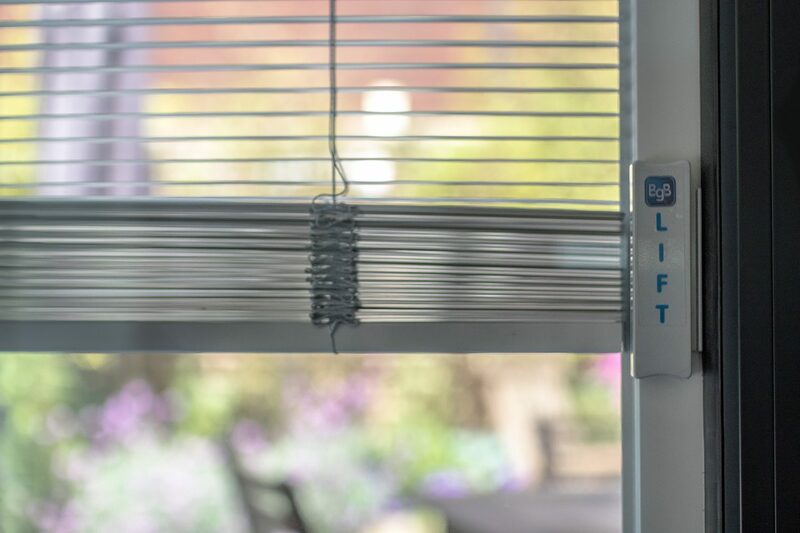 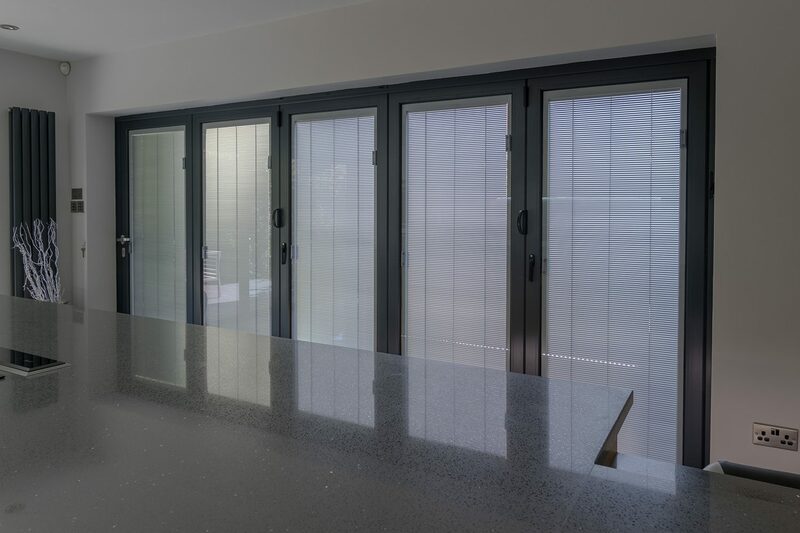 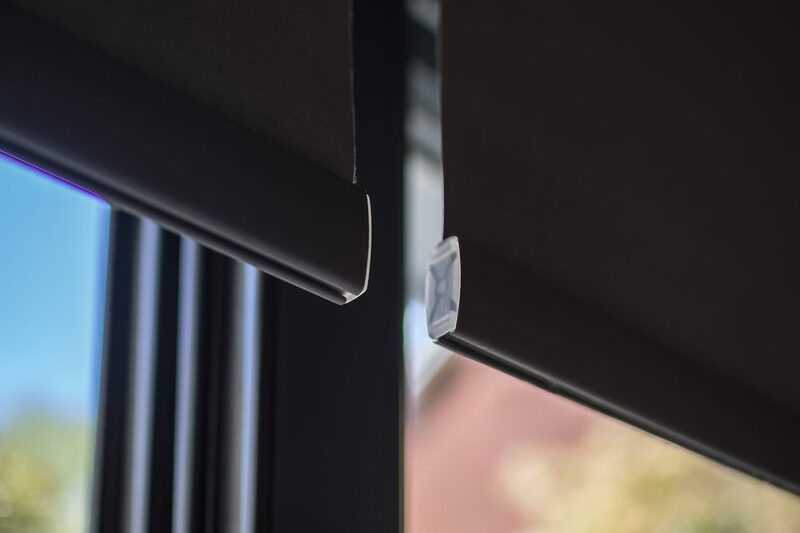 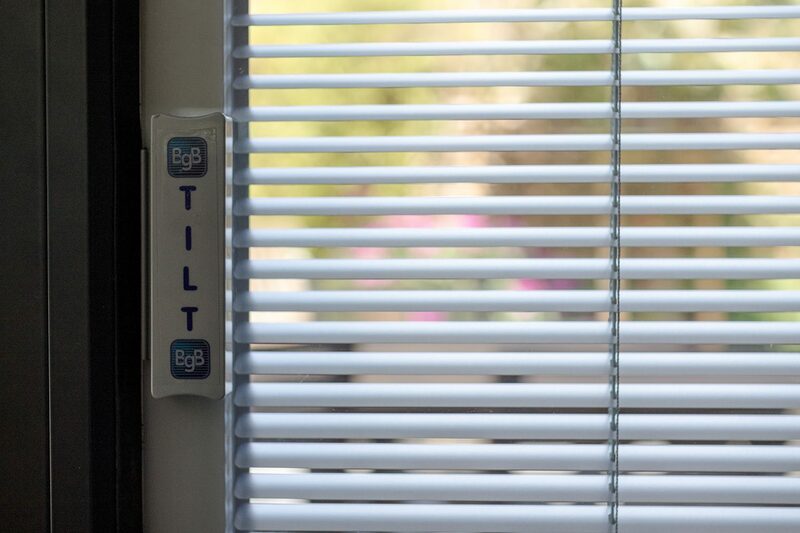 Remote controlled electric roller blinds have been installed to block the light entering the home cinema room. 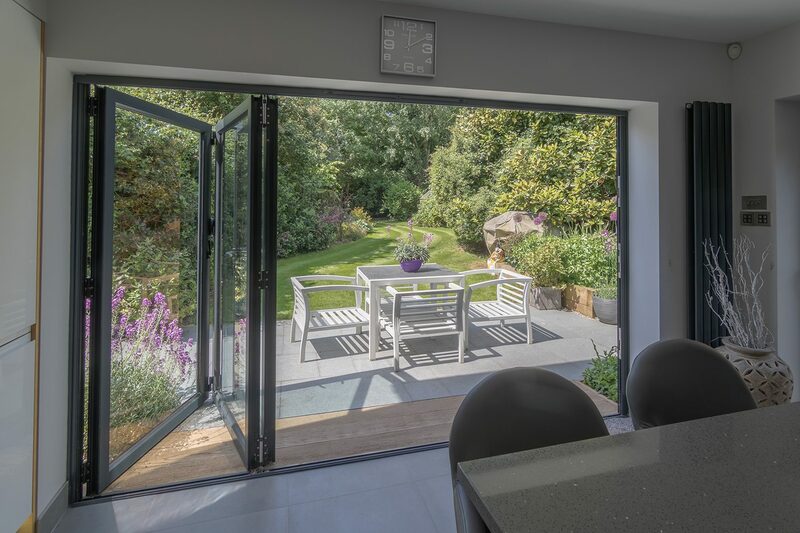 © 2017 Halo Windows and Doors | Site by Rare Design Ltd.